Rohit Kumar Singh (MBA ’17) completed Weatherhead’s full-time MBA program in May and joined Google as a technology manager in December. 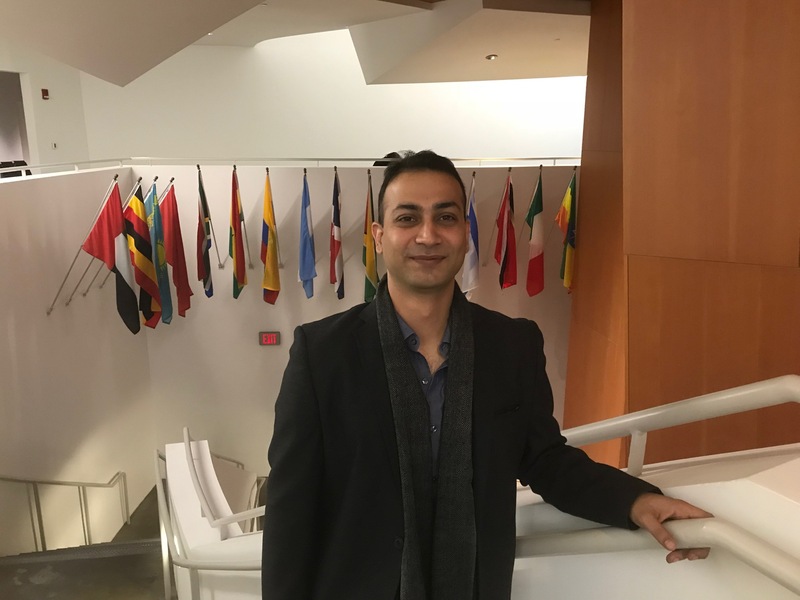 When Rohit Kumar Singh came to the United States from India to start the full-time MBA program at Weatherhead School of Management, he already had his top three employers in mind. Google was one of them. After two years in the MBA program and a two-month-long interview process, Singh joined Google in December as a technology manager, an internal facing product manager role focusing on the online ad partners of Google. The CMO sent his resume to local companies for internships and helped him prepare for interviews, a skill he says he needed to bolster. “I focused a lot on getting the call for the interview, but I never really thought in detail about what would happen after that, during the actual interview process. I think I blew a couple of opportunities, which made me realize just how important it is to be prepared.” His dedication paid off, and the CMO helped him land an internship with a local consulting company, gaining him crucial experience in the workforce. However, it wasn’t until after graduating that Singh’s time at Weatherhead helped him get his dream job. The CMO got him started, connecting him with other alumni who had worked at Google. And he was even referred a handful of times to positions within the company. But what ultimately got him the call was a plain old online application. “I was still doing a lot of online applications because I believe they are sort of necessary,” he says. “Every morning I would get up at 6am and look at my top companies and see if they had any openings.” And one day, a recruiter called. After several online interviews through Google Hangout, Singh flew to California (on Google’s dime) to do an interview on site. The interview process was long and thorough, and included white board meetings where Singh would draw out system diagrams on how he would approach business challenges. He says Weatherhead prepared him well for this moment. “My strategy classes with Simon Peck, business marketing classes with Mohan Reddy, and Design-Thinking classes with Richard Buchanan, all focus a lot on structure and approach. They really help you get a hold of a very ambiguous problem or situation and try to make sense of it.” He also referred back to his economics and negotiation classes when asked questions about dealing with business stakeholders. In fact, Singh’s classes were so valuable to him that he paged through his class notes before going into the interviews.